Demonstrations have spread to other cities since the Occupy Wall Street protests began in September. 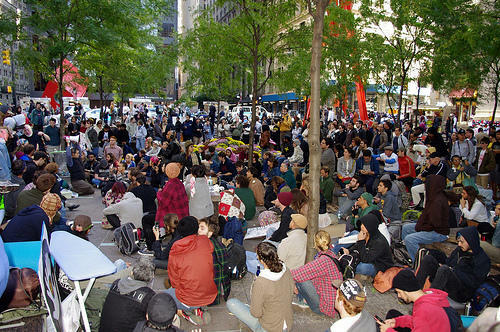 The Occupy Wall Street demonstrations have captured the world’s attention. Related demonstrations, meanwhile, have spread across the U.S. and around the world. Commentators in Arab nations are drawing similarities between these most recent protests to this year's Arab Spring uprisings. The Spanish and Italian press are drawing parallels with “indignados” or indignant activists. Meanwhile, voices in Iran and China with anti-American agendas are saying that this movement could portend the beginning of the end of U.S. economic dominance. This week on Global Journalist, our guests discuss how the world is responding to the Occupy movement.